Every once in a while we do a water loss or flood that has creepy crawlies. It's always fun to see them and we do what we can to release them back into the wild. 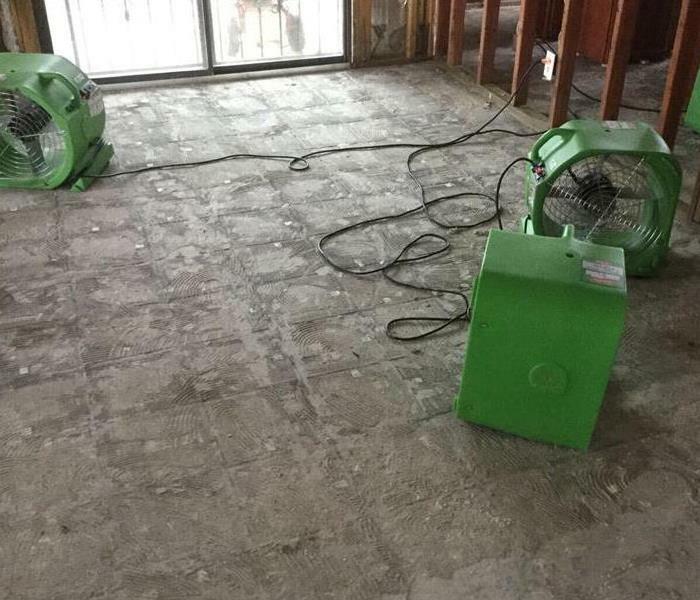 The water had sat for too long causing the subfloor to get wet and warp. 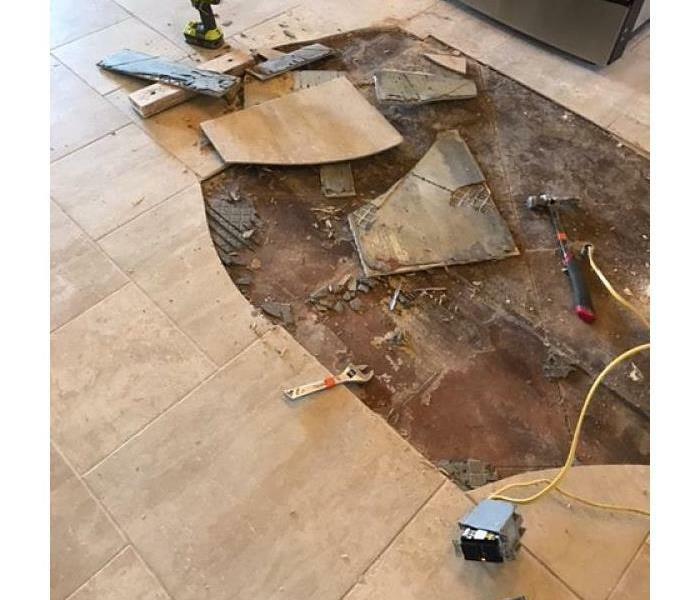 Quick mitigation could have saved the tile and the homeowner would not have had to make a claim. This little device is an Air Filtration Device (AFD). Some technicians call them air scrubbers. The AFD removes mold spores and other contaminates from the air and should be on every mold and sewer loss. Containment is important during mold contamination. When cleaning mold it's important to keep the rest of the home clear of mold spores. 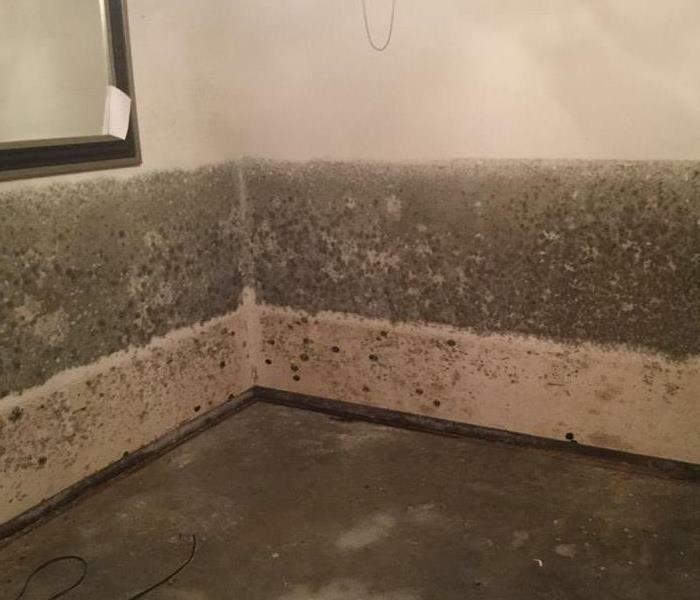 Containment before mold remediation assures the rest of the home will remain spore free. 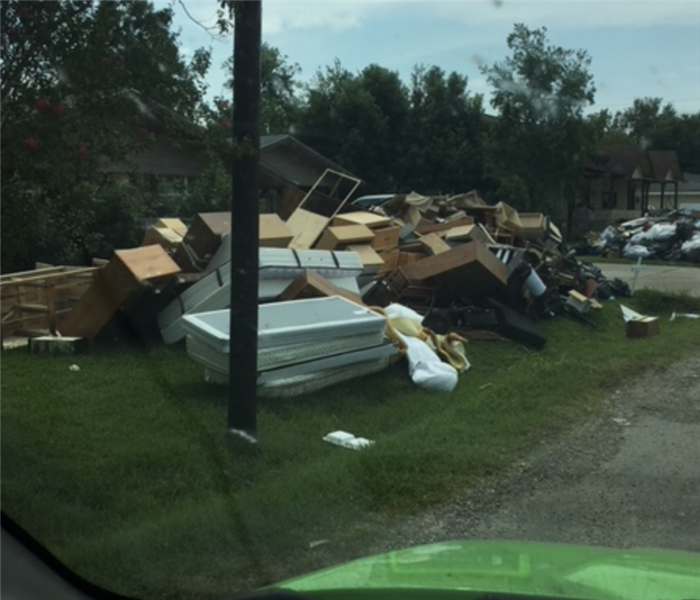 Once the flood water recedes the cleanup process can begin. The main concern is to remove all the contaminated building materials. We do this with a flood cut and removal of flooring. Then we disinfect the area of the bacteria. 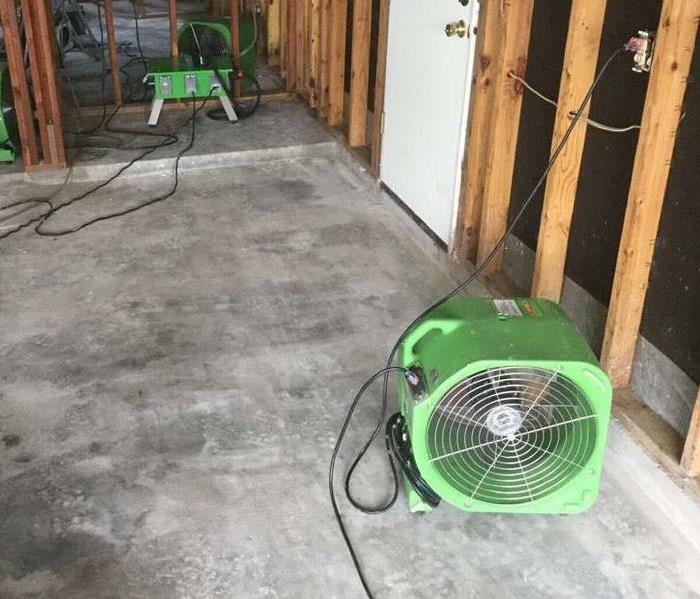 How to dry a home after flood? Contaminated materials need to be removed. is necessary after a few months in an apartment complex. Cleaning the carpets gives your occupants and visitors a great rental experience. Call SERVPRO Of Eagan/Apple Valley to get your carpets cleaned today. 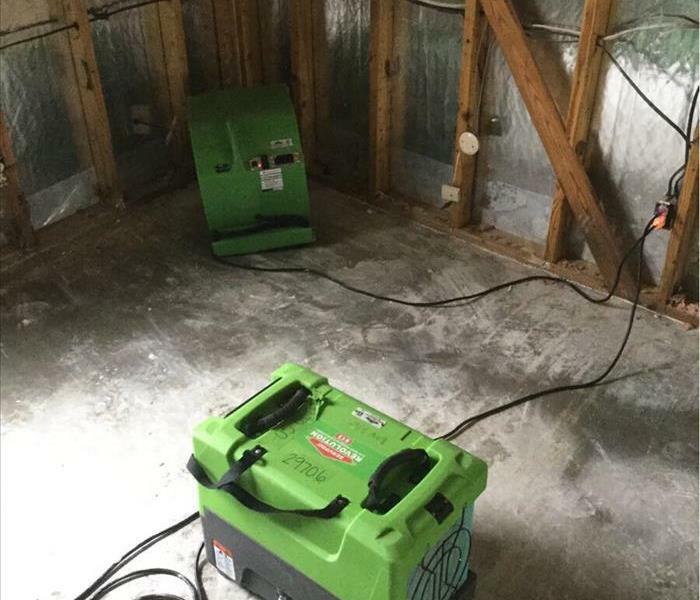 This home had a fire and SERVPRO was able to quickly respond and begin the mitigation process. Our team is trained and qualified to handle any size fire or water loss. If you have any questions, feel free to contact us at anytime. This home had a massive fire, and SERVPRO of Eagan/ Apple Valley was apple to help. Our team responded quickly and started an inventory sheet that documented all of the homeowners personal items. After we completed the pack out we were able to start the mitigation process. 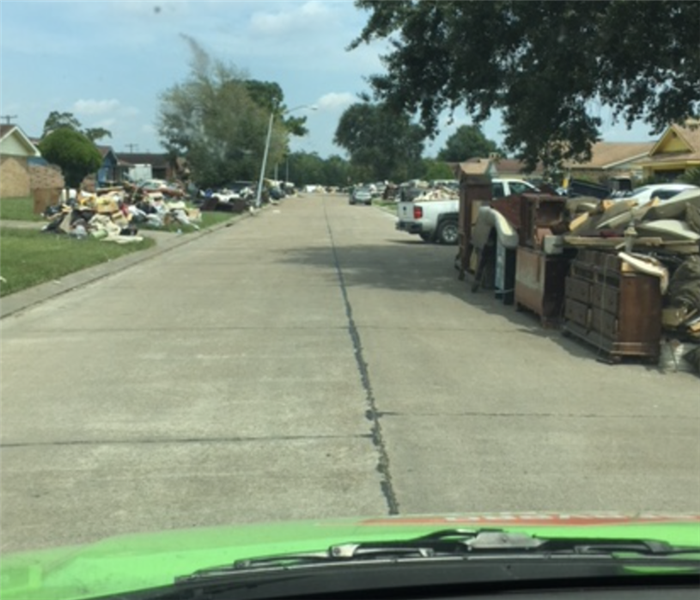 This is a picture of our truck in Houston, Texas, working on the cleanup team after Hurricane Harvey. 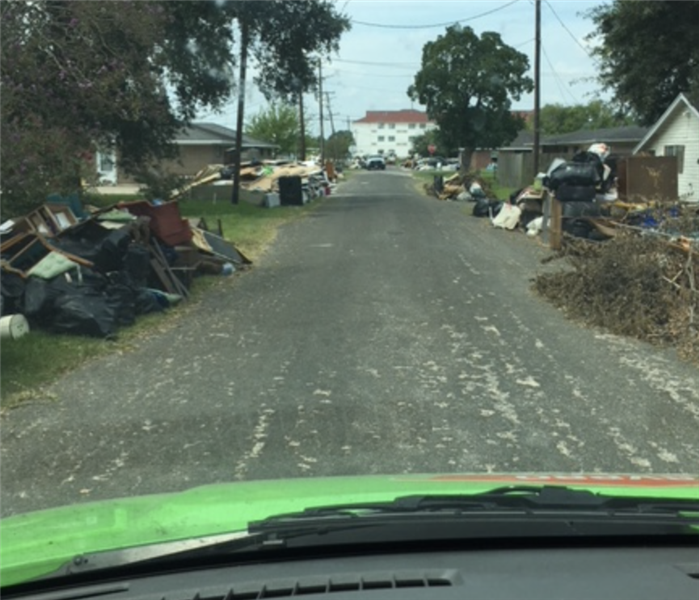 Within days we had crews and equipment in Texas to help with the restoration process. If you have any questions about our storm team, feel free to reach out to us at (651) 330-7271. After a storm a lot of debris can be left behind. It is important to try to consolidate as much as possible to allow the restoration process to continue. Flooding in most cases can destroy a lot of a structure where much will have to be thrown away. 1. Make sure the property is safe and there is not standing water. If there is water in the home, be sure to vacate until a professional is able to observe. 2. 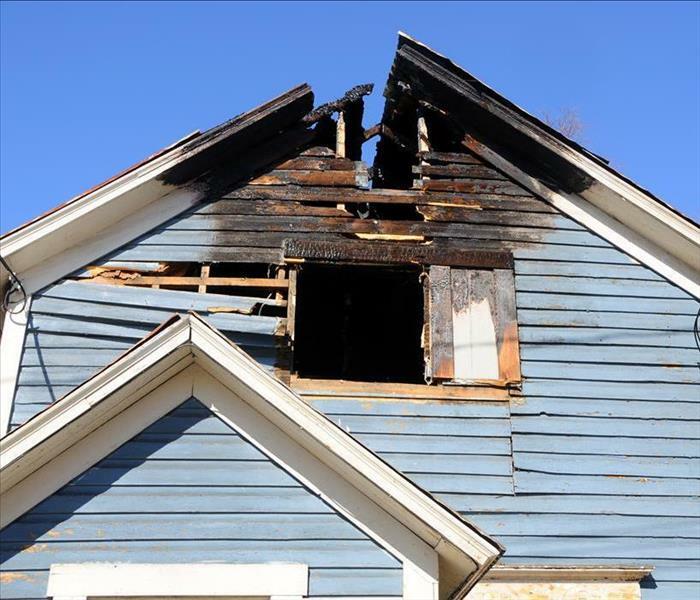 Have a professional restoration company begin the extraction process. 3. Once, all the water is extracted, start the drying and rebuild. When it comes to cleaning carpets SERVPRO of Eagan/Apple Valley have a lot of experience. Cleaning your carpets will help them last years longer and give your clients the best experience with your company. 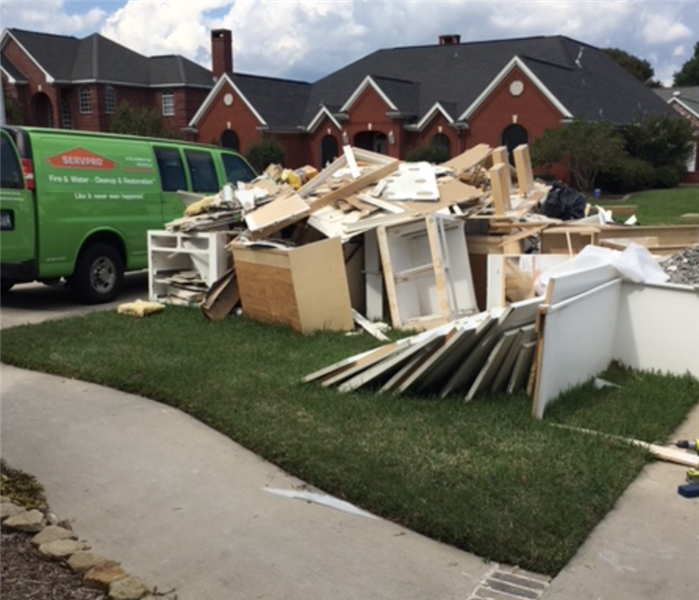 Our team was quick to arrive an help out in Houston, Texas for the Hurricane Harvey that came ashore this year. After we got there, we were able to help many families in need. We are always ready to travel and help any size property in the event of a storm event. 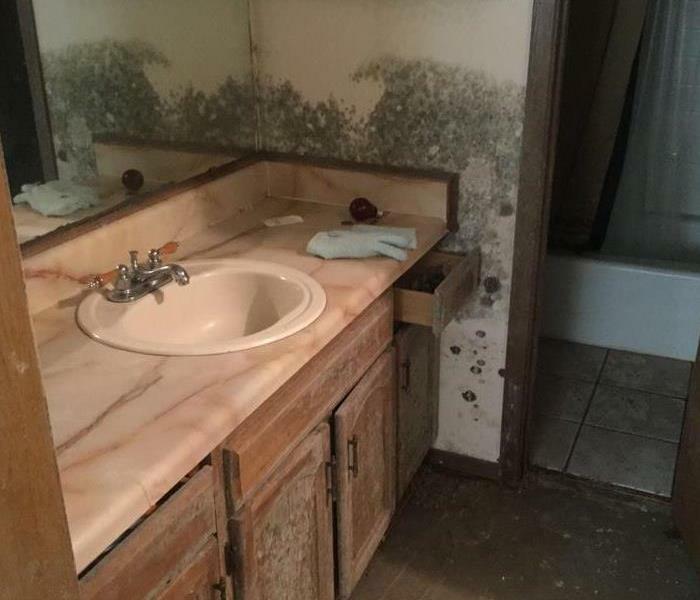 This bathroom had a massive amount of mold growing in there. Our team, was called to help evaluate and follow proper industry recommendations to get all of it removed and cleaned. 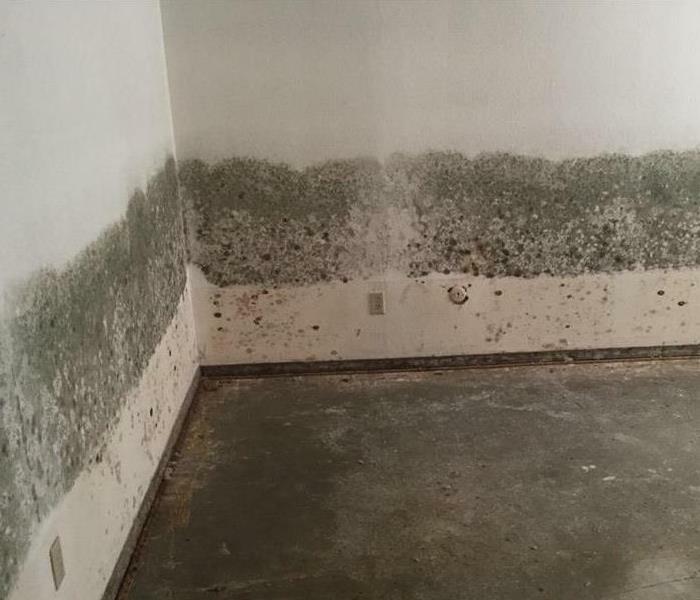 If you have any questions about mold removal, feel free to contact us at anytime at (651) 330-7271. What steps do I take if there is mold growing in my home? 1. Do not touch or ingest the mold. 2. Contact a licensed contractor that can come out and evaluate the situation. 3. Have a licensed environmental hygienist test and write a proper scope of services for the mold to be removed and cleaned. What to do if you find mold in your home? 1. 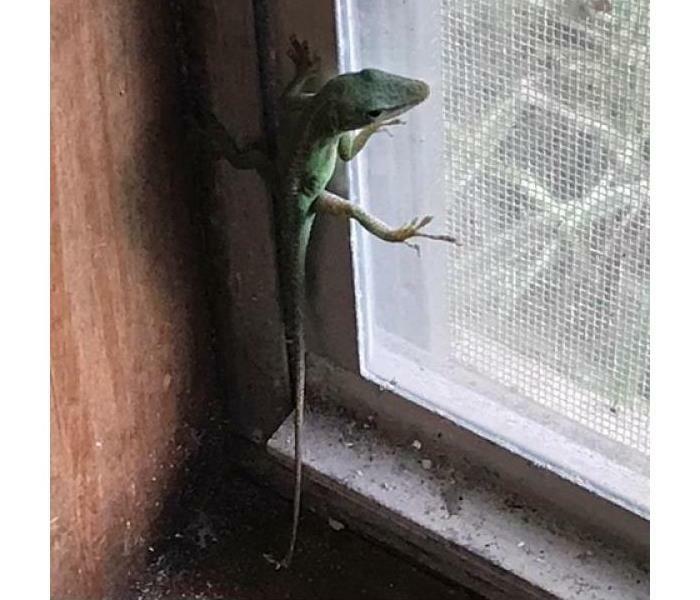 Contact SERVPRO of Eagan/ Apple Valley to evaluate the situation. 2. Work with an environmental hygienist to determine what type of microbial growth is present. 3. Once a report is provided by the environmental hygienist, follow recommended restoration process. How do I get rid of water in home? 1. 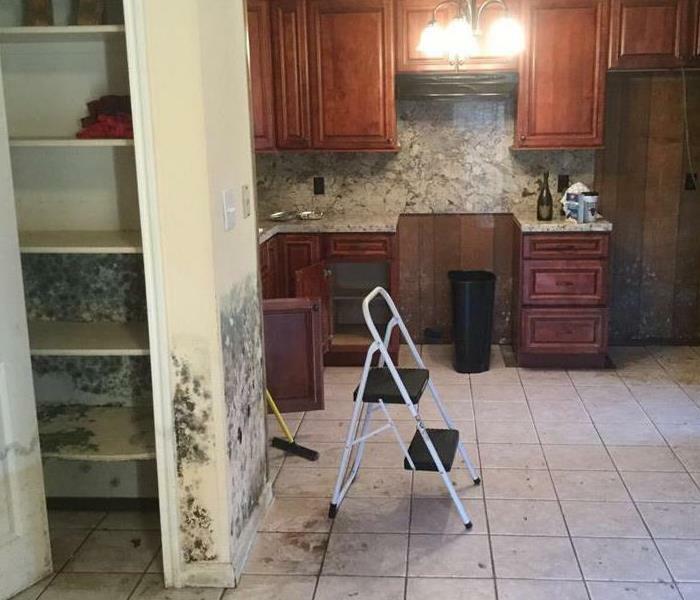 Have an experienced restoration contractor remove the water. This is referred to as emergency services and is critical to prevent secondary damages. 2. Contact your insurance company to discuss policy. 3. Follow recommendations as noted by the IICRC. 4. Document and take lots of pictures of the restoration process. What to do if you find water in your home? 1. 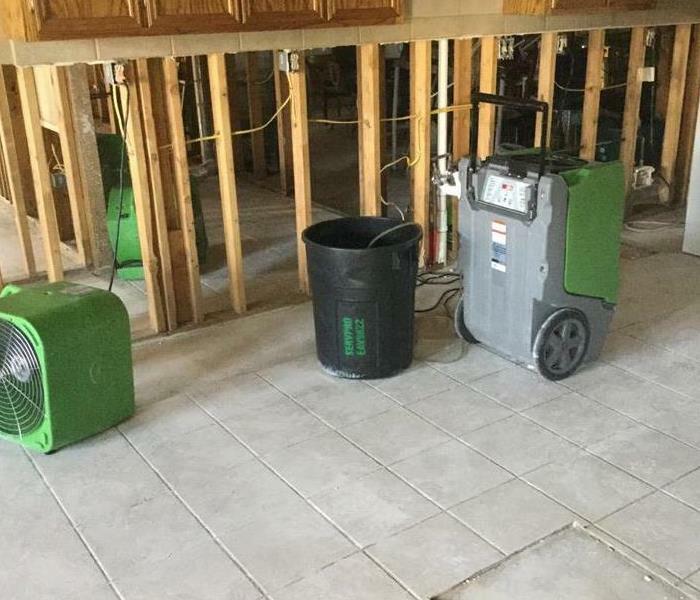 First contact an emergency service restoration company such as SERVPRO of Eagan/ Apple Valley. 2. Contact your insurance company to discuss options with your policy. 3. 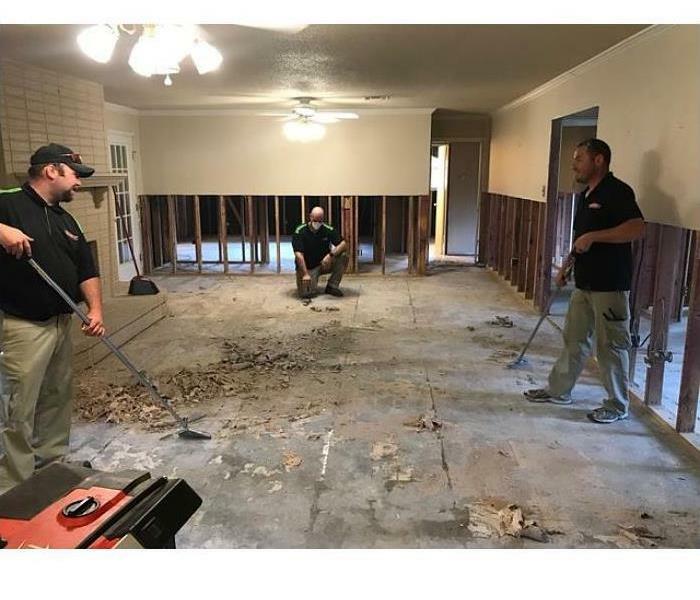 Once a scope of service is agreed upon, have SERVPRO begin to mitigate damages. 4. Follow proper protocol form start to finish. This commercial water loss created a lot of damage is the basement of this facility. Our team was quick to respond and begin extracting water. It is critical to make sure proper drying equipment is placed after extraction to prevent mold from growing. This is our team working in a basement of a commercial facility. We are extracting and cleaning up water that was sitting on the concrete for several days. It is important to get water extracted as soon as possible to prevent secondary damages from happening. Our team responded to this water loss, where we quickly had to extract the water and get drying equipment in place. SERVPRO makes sure to follow all of the steps that are recommended by the IICRC. Visit www.IICRC.com for more information on how to handle a water loss. Attic fires produce a lot of smoke and soot which will travel into the home through the vents. Our crew at SERVPRO of Eagan/Apple Valley has the experience to restore the roof while cleaning and deodorizing the home. This was the aftermath of a fire that started in one of the bays at a gas station in Eagan. We were called out at 2 A.M. to board up the structure after the fire department put out the fire. We quickly had them cleaned up and back in business and the owners couldn't have been more pleased! With adding another trailer to the fleet we are now even better equipped to take care of any size disaster! We have the capacity to handle any size water loss in the area and here to help you. This is a crew that we sent to Mora, MN to take care of a house fire. The home was a total loss, but we took pride in finding every piece of their personal belongings that could be salvaged. We go where we are needed and are always here to help. 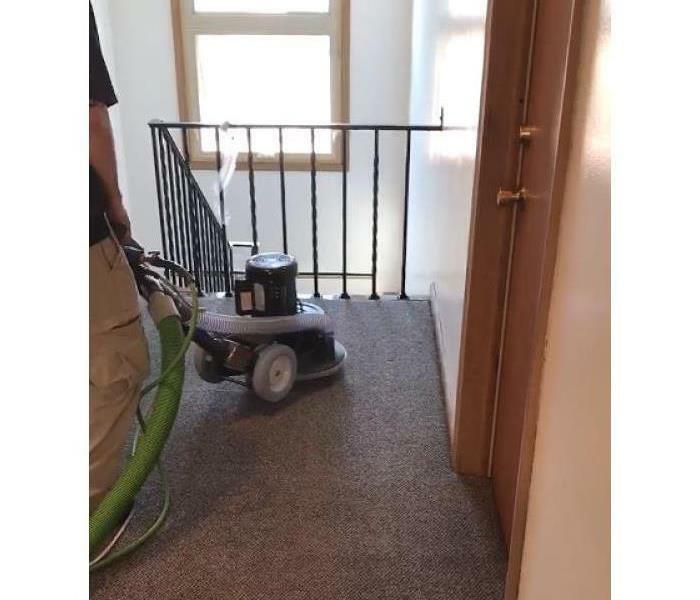 We not only take care of water and fire cleanup, we also take care of things you might not think about. We were called out to do a clean on a grain elevator. As you can see from our vehicle at the bottom left, it was quite a large project! These were just some of the contents from a trailer that caught fire when a family was moving across the country. All of the contents were delivered to us in crates to be restored. Their belongings inside the trailer suffered significant smoke damage, but they knew who to call to get everything restored back to "Like it never even happened!"